Curiosity is getting close to the area in which we next want to drill. We are possibly as close as 2-3 drives (including today's) away from our next drill target! But before heading off, we are taking a lot of imaging with ChemCam and Mastcam of the local features - including some close-by small sand ripples and some of the pebbles in our workspace in order to help understand the relationship. We are also doing contact science with MAHLI and APXS on two small targets, Maud and Ardnamurchan; Maud will be partially "cleaned" by ChemCam so APXS might have a better view despite the target being too small to brush. We also continue our atmospheric studies, as we seem to be in a fairly windy period, including a dust devil movie and a tau measurement. 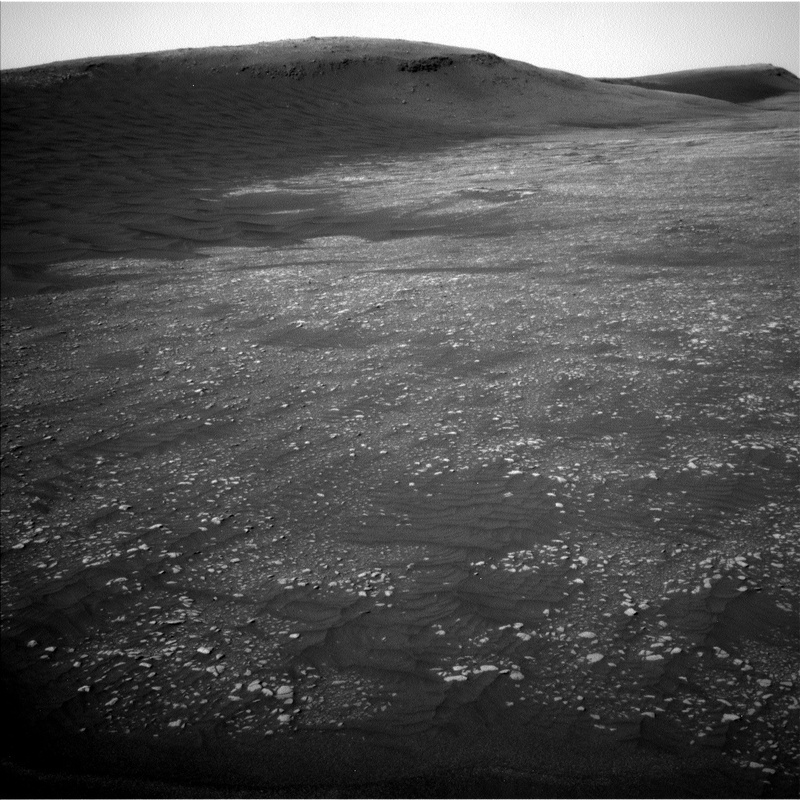 On the second sol of our plan, Curiosity will drive past a nearby patch of sand ripples, shown in the attached image, where she will stop for mid-drive imaging. We planned a dive of about 30m to a promising bedrock target on the other side of the sandy patch. Visual Odometry, to track our slip while driving, continues to be challenging due to the relatively featureless terrain, but the Rover Planners continue to improve their ability to find pointing that performs well. At the end of this drive, we hope to start being able to select candidate drill targets and start developing our path forward toward drilling.